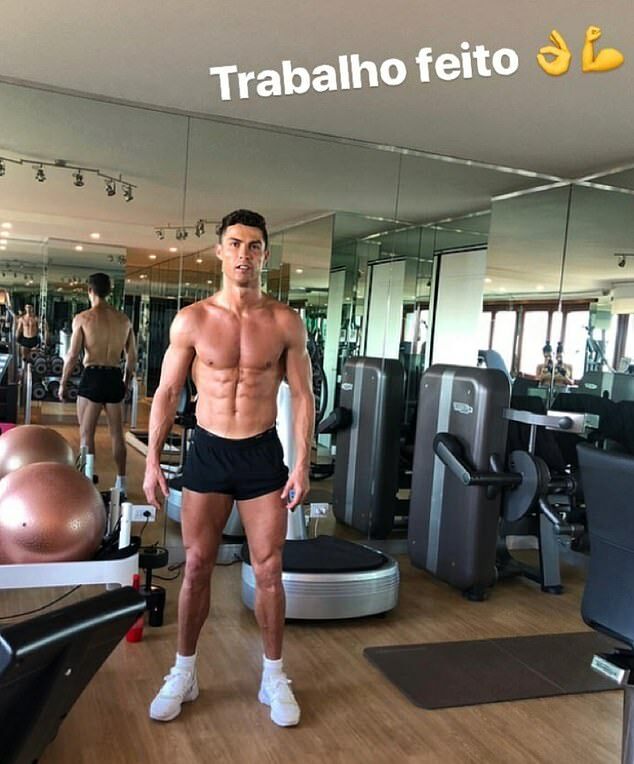 Cristiano Ronaldo returned to Juventus training on Tuesday morning after indulging in a Dubai winter break. On holiday with his family, including fiancee Georgina Rodriguez, the Portuguese held a hawk while wearing a Prada top. The former Manchester United forward also found time to hit the gym and took to Instagram to show off his impressive physique. Ronaldo will be preparing to return against Bologna in the Coppa Italia round of 16 on Saturday, which will be Juventus’ first game back after the winter break. The Serie A champions lead the league table by nine points and Ronaldo is looking to win many honours with his side this season. ‘I don’t work to break records, rather I work for the good of the club,’ he told Record via Football Italia. ‘2018 was the best year of my career. In Serie A they mark me as tightly as they do in Spain, but there’s less space here because all the teams have excellent defences. ‘Winning the Champions League is a dream, but we mustn’t make it an obsession. Team trophies count and I’m working to win them. ‘Everyone in Turin welcomed me in a fantastic way. We’re all feeling very good. I don’t know when my career will end, but I’m fine and I want to keep going for many more years.